Roald Dahl Day at Anne Dale! As part of National Roald Dahl Day, children across the Federation dressed up as their favourite characters from a whole range of famour Dahl books! From Fantastically Famous Foxes to a Twosome of Twittering Twits, the school has been filled with a superb selection of excellent costumes, in memory of Roald Dahl’s amazing stories! 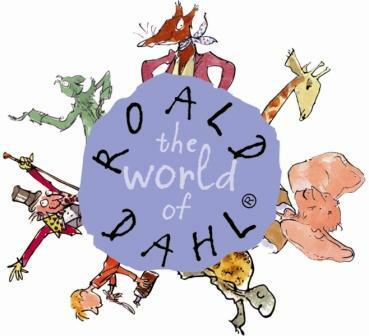 To see more information about Dahl and activities, visit the website here: Don’t forget to leave a comment below to let us know what you thought of Roald Dahl Day in school too! The Lion, the Witch and the Wardrobe in W4! In W4 we have been learning about the book by the author C.S Lewis. It is one of the Chronicles of Narnia! We have been reading it in class and then we have been doing work to do with it. We have also been making our own fantasy creatures. The reason we are really reading this book is because we are going to use are made up characters in a new fantasy story. What is you new made-up creatures name? Heroes Day at Anne Dale……..
As part of our Heroes work supporting the Heroes Inspiration Federation, children across the Anne Dale School dressed in a wide range of outfits, ranging from members of the armed forces to wizards and superheroes! There were medical professionals, Einstein and even Florence Nightingale walking the corridors of Anne Dale! Throughout the day, children have also taken part in an excellent and entertaining display of reading skill by “The 2 Steves”. Their new series of books “ihero” was read to an enthralled and enraptured audience, with the hall filled with laughter, fun and careful decision making to survive the terrors of the “ihero” series! 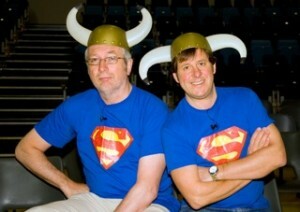 Games contestants faced challenges based on quick thinking, decision making from the stories and all at the same time having a brilliant laugh with the 2 Steves! Children have then been given time to purchase books from the 2 Steves in the library during the school day! Check back to see some more pictures of the day and some of the amazing costumes from across the year groups… Thank you to all of the many parents and families that have helped to create such wonderful costumes, helping the children to enjoy a wonderful hero-themed day! Viking in my Bed in Year 4! This term we have been learning about the brilliant author Jeremy Strong. He is a most loved author and he writes really funny books! Here is a list of some books: ‘There’s a Viking in my Bed’, ‘Pirate School’, ‘Where’s that Dog?’, ‘My Dad’s got an Alligator’, ‘Viking at School’, ‘Viking in Trouble’, ‘A One Hundred Miles An Hour Dog Goes for Gold’, ‘Liar Liar Pants on Fire’. Year 4 have enjoyed writing about this book and we would recommend it to you to read (you can find it in the school library). If you like comedy it is a perfect book for you. Writing Play scripts in W4! In W4 we have been writing play scripts in English. To do this, we have been watching videos and clips from famous films, to help us to think about how films are designed and how stage directions are written. We have been watching Charlie and the Chocolate Factory and we have done Jack and the Beanstalk as well. 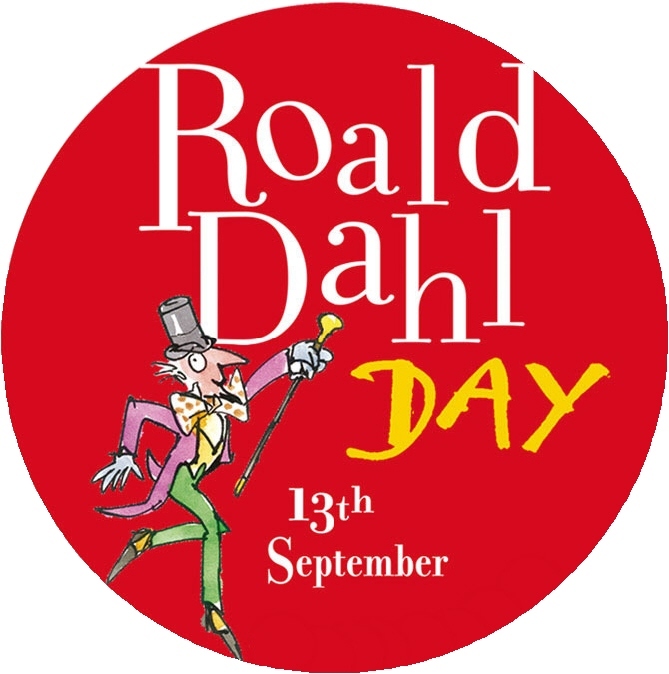 On Friday the 18th of September we had a Roald dahl day at our school. We all got to bring in our favourite Roald Dahl book and share our books with our school friends. After sharing our books we did a Roald Dahl quiz to see who was the ultimate Roald Dahl fan! Our class got to choose our group names and my group name was called the Unikittys.We had a great day! Roald Dahl in Year 3! Last Friday, children across Anne Dale too part in Roald Dahl day, which was really fun! T3 have spent this half term reading an interesting story with an unusual ending. They have completed comprehension questions and made a delightful booklet which they are bringing home to show their parents. All students have shown improvement in their comprehension and have enjoyed this project…..Well done T3 you have worked hard! Perhaps T3 would like to write their thoughts and any comments in the hope these will be seen by the author. Did you know that our very own Mr Gates (our caretaker) writes poetry? It seems that our poetry event not just inspired you to share your poetry but also our caretaker! He visited Year 5 to give them a sneaky preview of his latest masterpiece. What do you think? Why not leave a comment. Paul Cookson – A Legend! Tears of laughter from both the children and teachers filled the hall today as Paul Cookson helped us with our World Book Day celebrations. Since the moment he arrived, he demonstrated the importance of poetry and the enjoyment that it brings to all ages. There were also some very strange creatures wandering around the school. His performances will remain in our memories for a long time! What did you think?